Today we’ll illustrate the use of the Saved Room Defaults feature. 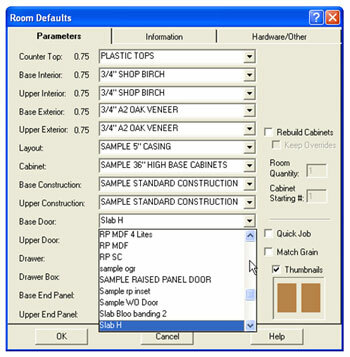 This feature allows you to select a set of commonly used room defaults with which to design your room. It can save a lot of clicking and picking every time you start a new room. There are two ways to add to the saved Room Defaults list. 1) Go to File Setup Room Defaults. Select New and supply a name. 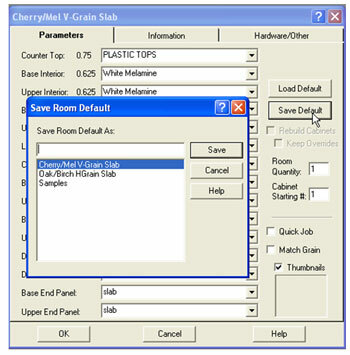 Click OK.
2) Select a set of parameter files that will constitute the saved set. Remember, the Hardware/Other and Information choices can also be assigned. 3) Alternatively, start a new room, (or open an existing room- go to Modify Room Defaults) and on the Room Defaults screen, make your selections and choose Save Default. Supply a name for the set of defaults. Click Save. 4) To use these saved sets of Room Defaults, when starting a new room or editing an existing room, select Load Default and select the desired set of room defaults from the list. 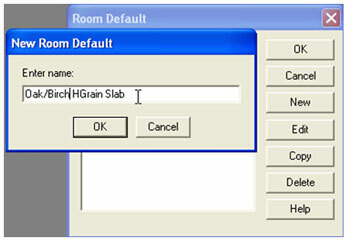 The list of parameters will be changed to the selected set of saved room defaults. Note: In an existing room, you may need to also select ‘Rebuild Cabinets’ to effectively enact all the changed defaults. 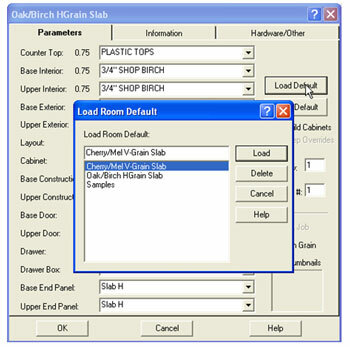 This feature is available in all Cabnetware manufacturing programs.